Betsy boots have been designed to withstand even the Russian weather climate, with a colaboration of British and Russian designers to bring you the very best warmth, materials and comfort. These stunning boots have a real sheeps wool lining which keeps your feet warm and cosy even down to temperatures of -30 degrees! 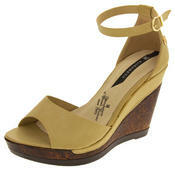 These cuban heels have a smooth faux suede/faux leather upper with a zip to inner leg. They have a decorative chain with a butterfly charm to the side.Warm sheeps wool lining right to the toes and good solid outsole with good grips to sole. Boots don't have to be boring - stand out from the crowd! You don't need to look anywhere else for luxury fashionable winter heels!